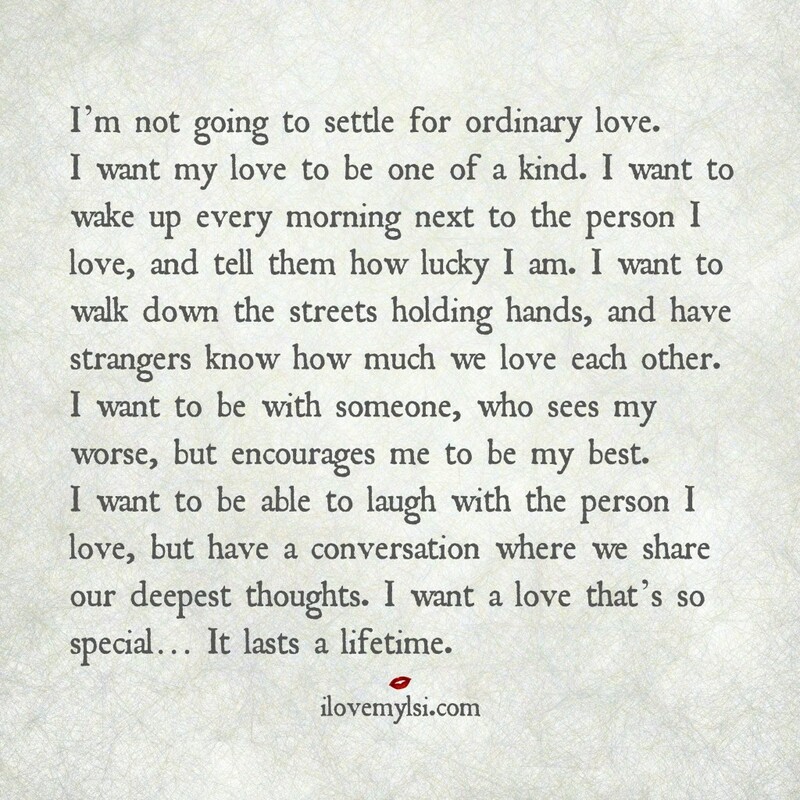 I’m not going to settle for ordinary love. I want my love to be one of a kind. I want to wake up every morning next to the person I love, and tell them how lucky I am. I want to walk down the streets holding hands, and have strangers know how much we love each other. I want to be with someone, who sees my worse, but encourages me to be my best. I want to be able to laugh with the person I love, but have a conversation where we share our deepest thoughts. I want a love that’s so special…It lasts a lifetime.